Heat exchanger Hi-Temp is a spiral heat exchanger made of thermoplastic with a spiral of titanium. 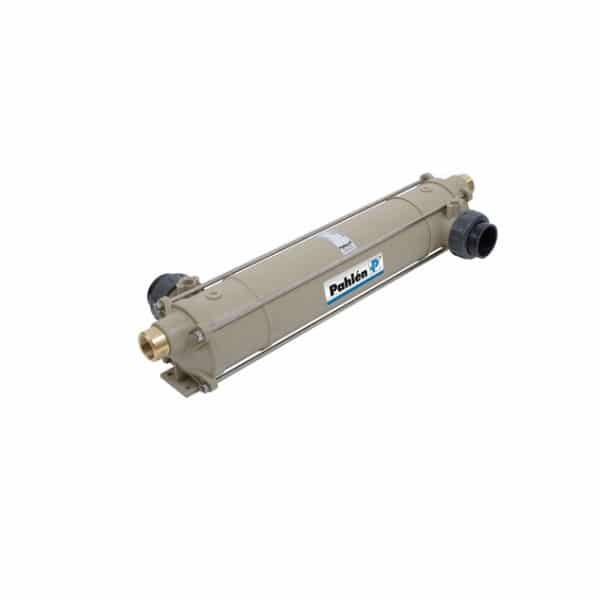 Heat exchanger Hi-Temp titanium for the most demanding installations where there is a high risk of corrosion, such as in swimming pools with salt water or where a salt generator/chlorinator is used.  Outer jacket of thermoplastic – High quality and long service life.  Hot water coil made of titanium – For the most demanding installations where there is a risk of corrosion.  Integrated wall-mounting – For simpler installation.  Slip connections for bonding of ?50 mm pipes – For simple pipe installation. 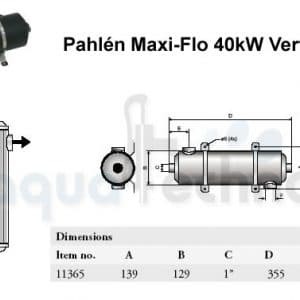  Two sizes 40 and 75 kW – For swimming pools of up to 300 m3. 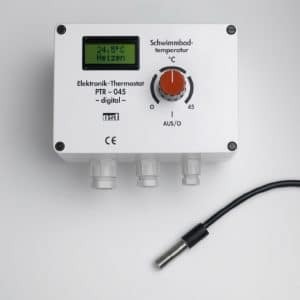  Connects to boiler, heat pump, solar panel system or other heat source – Suits all installations.